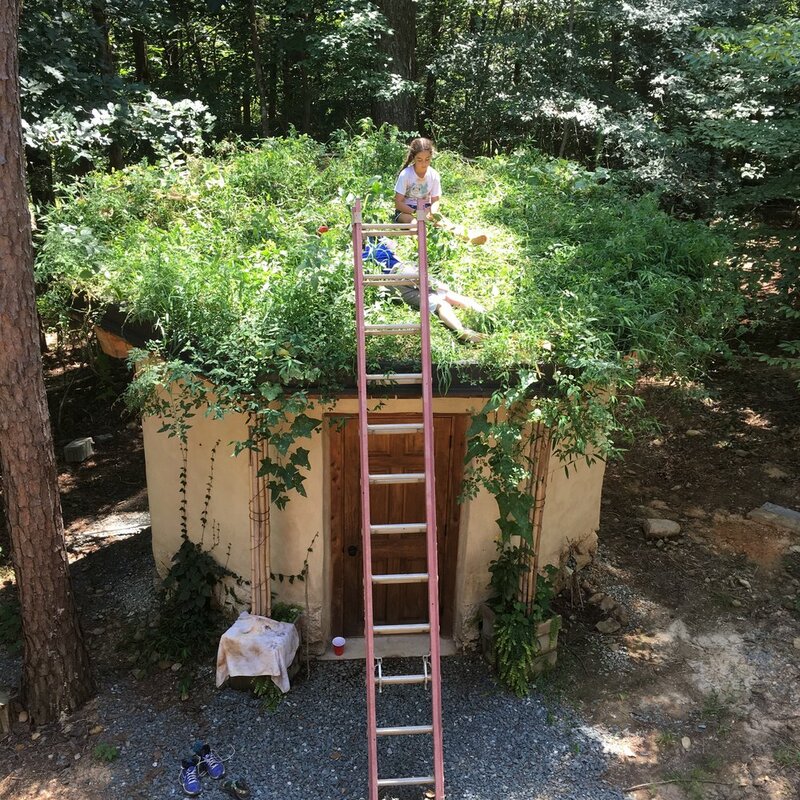 The Meditative Hut project constitutes the first application of the Earthen Forming System (EFS) to address the burning questions of "Why earthen building still costs on average three times the direct cost of conventional building?" and "Why is it so difficult to evaluate the thermal insulation value (R value) of cob?" The two-major factors that contributed to solving the first question came by finding a simple, practical, mechanical way to mix larger amounts of cob at once and by creating an easy-to-assemble forming system that allows the formation of a 150 sq ft octagonal structure that is 8 feet high in less than 40 hours of labor. What is commonly known is that cob performs better during the hot seasons than the cold seasons. Secondly considering that it is nearly impossible to have a fixed R value, and it is of greater value to know the monthly electrical bill associated with heating and cooling, we elected to measure the total amount of Watt/Sq Ft/Month and compare it to regional conventional building consumption. Pertinent values: 135 sq ft space, 0.0739 glaze to wall ratio, RET 0.361; thermostat setting 68, split unit 33 BTU per watt. R value of floor, ceiling, windows, door respectively: 6.34, 52.15, 0.34, 1.85. Reading of meter dedicated to split unit in November, December, January, and February 2015 respectively: 58 KW, 115 KW, 276 KW, 412 KW. Conclusion: The meditative hut outperformed conventional construction by about 40% without the favorable adjustment related to lower wall-to-floor ratio in larger structures, while also not benefiting from direct sun exposure. Furthermore, testing was done in the least favorable season possible. We expect Ecoheal Center to be between 70-80% energy efficient.